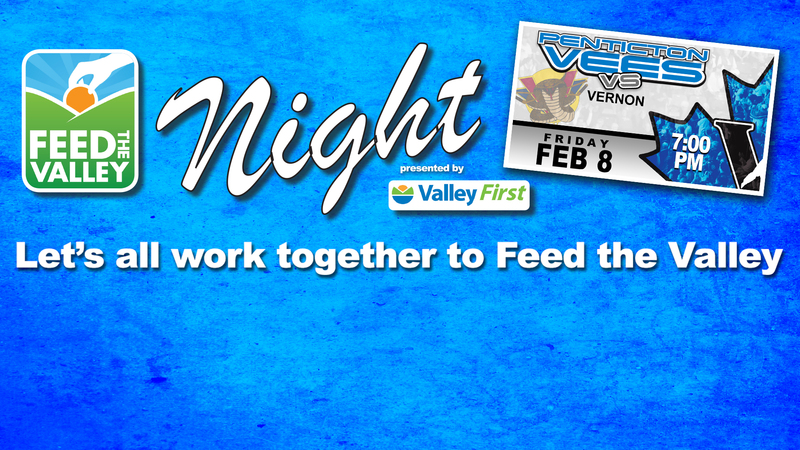 Cheer on your Penticton Vees as they host the Vernon Vipers on Friday, January 8th at 7:00PM presented by Valley First! It’s the annual Valley First “Feed the Valley” night! Bring a non-perishable food item to the game and be entered to WIN a Vees signed Jersey and ball cap. OR, purchase a raffle ticket at the game for a chance to win two (2) tickets to Litte Big Town coming to the SOEC on Friday, March 1. All donations and proceeds go to supporting Penticton Salvation Army Food Bank.